ZWS defines Engineering Integration as a solution for establishing visibility between your CAD Data Management solution and your Enterprise PLM through direct or indirect integration. 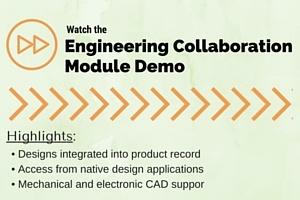 Why should you Integrate Engineering with PLM? The excessive amount of work created by a disconnect in Engineering data puts the burden of sharing data on the engineer. Ideally, engineering data should be structured to generate a BOM that can ultimately be leveraged for manufacturing. In companies where Engineering and the rest of the enterprise are not fully synced, this process happens manually. If there is no visibility between both silos, then the process will be iterative, time intensive, and subject to error due to mistakes or miscommunication. 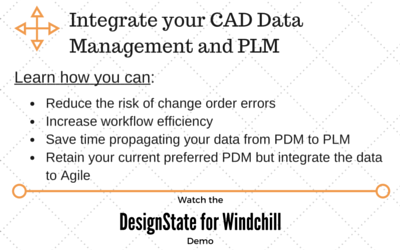 With an indirect integration, you leave your CAD data management solution in place and allow the integration to move data between CAD PDM and enterprise PLM. Engineers still perform their day-to-day engineering using the best-in-class data management facilities of their CAD solution as built by the CAD vendor themselves. Direct integration means that CAD tools are directly linked to PLM and CAD files are stored in the PLM file vault. The primary advantage of direct CAD integration is that CAD data is always up-to-date in the PLM system.